Mahanagar Telephone Nigam Ltd (MTNL) today announced the launch of SMS Based Activation Facility for some Special Tariff Vouchers (STV) for prepaid customers in Delhi circle. 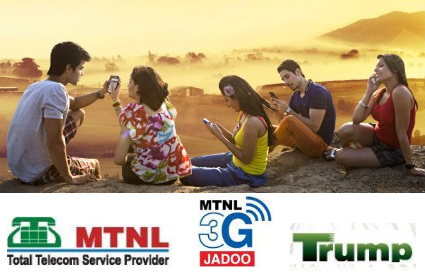 Now MTNL prepaid customers in Delhi and NCR circle can activate selected popular STVs or plan recharge without going at retailers or MTNL outlets just by sending SMS ‘RCH Denomination of Pack’ to 444. For example to activate Pay Per Second (MRP Rs. 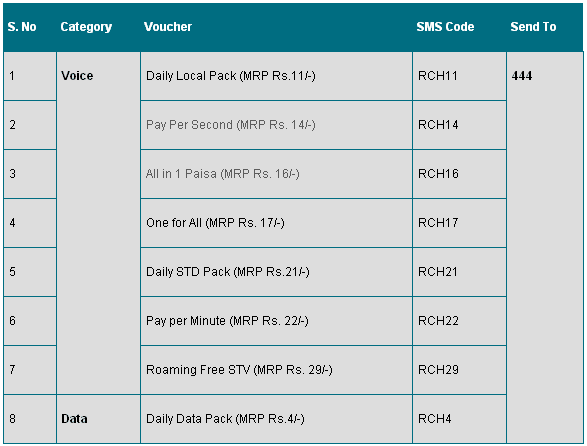 14/-), prepaid customer needs to send sms RCH14 to 444. SMS charges will be applicable as per customers plan per. Presently eight STVs and Recharges (listed below) are available over this SMS based activation facility in Delhi, some more recharges will be added soon. Earlier SMS based STV activation facility was available in MTNL for prepaid customers in Mumbai circle. Plz it’s humble request to u plz start SMS based activation facility for Stv 121 and all Data pack..